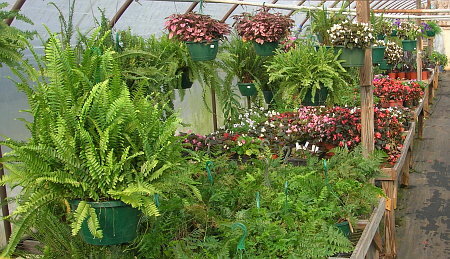 A view into the Cool Greenhouse showing shade plants, baskets, and ferns. Questions or Comments? Reach us by email or fill out our guestbook.